Based in Memphis, Tennessee, the American Queen Steamboat Company positions themselves as the unique American River Cruise line. With their fleet of two boats, the American Queen and the new American Duchess, American Queen Steamboat Company offers passengers a plethora of Mississippi River adventures ranging from short five-day experiences to 23-day voyages. 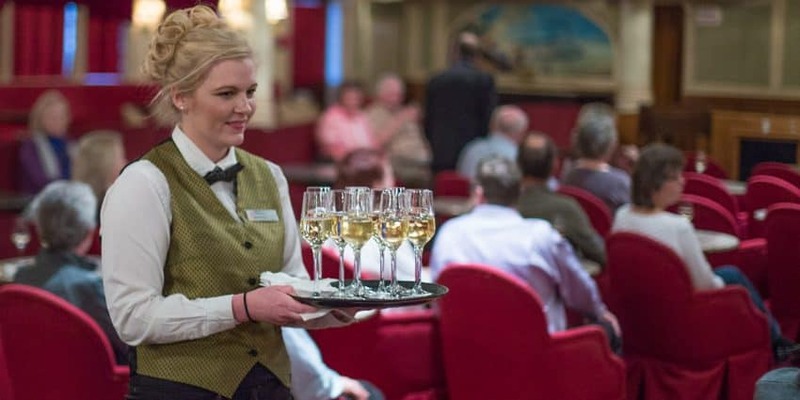 The company offers passengers inclusive river cruise experiences by planning their entire getaway to a T. From pre-cruise accommodations to off-boat excursions during their cruise, guests will never be bored. Along the lower region of the Mississippi, passengers are exposed to centuries-old live oak trees with Spanish moss streaming down, antebellum plantations, civil war memorials, and other sights taking them back in time in American history. The Upper Mississippi River cruise takes you through the setting of the literary great Mark Twain and his quintessential characters Tom Sawyer, Huck Finn and Becky Thatcher. Float along as the river bends through St. Louis, Minneapolis, and St. Paul. The company also offers trips along the Ohio, Tennessee and Cumberland rivers. Go back in time to the Civil War as you sail past battlefields and forts. Pass through Bluegrass Country along the Cumberland River, and see the stunning wilderness as you go. The Ohio River gives you a nice mix of big cities and small towns, giving you a true depiction of the diversity of America. Check out their river cruises on the Columbia and Snake Rivers also for some breathtaking sights. Step into Lewis and Clark's shoes as you take on the region just like they did in 1805. From Mount St. Helens to Multnomah Falls see the beauty of nature unfold along your journey. Cruising along the Mississippi is perfect for both nature and history buffs. The iconic steamboat cruise is a ticket into the nation's past. The unparalleled journey through a slice of authentic American history introduces passengers to a unique path to the past. Dozens of crew members make the vessel operate smoothly during their cruises along the river. On the America Queen ship, 165 crew members fill 59 positions, managing vessel engineering, navigation, administration, hospitality, and other elements of a successful cruise. With six to ten-week-long shifts, followed by two weeks off, crew members have the challenging job of leaving their families for extended periods of time in order to create such memorable experiences for their passengers. With working seven days a week during their six to ten-week shifts, it is clear that these positions are as grueling as they are rewarding for the crew. During times when the ship is docked, crew members may exit the vessel to explore and enjoy the cities alongside passengers. A rotating schedule allows crew members this opportunity. Under the decks, a whole other world exists on the cruise ships, where crew members have their own living quarters. Each staff member is assigned a room, generally with a roommate, complete with bunk beds, closets, desks, a television, and their own bathroom. The crew has their own dining area where a special team of crew cooks prepares their meals, right near their every day, laundry rooms, and lounging spaces. "I learned something new every day. The management team is awesome and so are my co-workers. They treat me well. I enjoy every part of my day" recalled an AQ crewmember. Such a demanding, 24/7 job seems difficult to sustain for six weeks at a given time, but their living situation allows them to rest and recharge during their off-hours. In order to get up and continue making their passengers' experience incredible, these breaks are necessary. "Great job, great people. I had the opportunity to explore places that I would not have ever seen on my own. Management was great at times, co-workers were always amazing. The hardest part of the job was that we worked for 12-14 hours a day and only got to spend 2 weeks home with 2 months working. But I loved this job!" said one former crewmember. After weeks onboard, guests and crew leave feeling more like family than coworkers. Paired with the long work hours and constant connection, the environment can create incredible bonds between crewmembers. The vibrant, team-based mentality fuels the crews to make the cruises run smoothly time and time again. With such intense hours and weeks-long shifts, it's not all fun and games for these dedicated crew members. There will always be pros and cons to employees of the hospitality and tourism industry, but these intense shifts seem especially demanding. Getting paid to travel with room and board covered seems like a great trade-off, but would you be able to handle being away from your family for six to ten weeks at a time? Alabama Attractions: To Kill a Mockingbird and more!